Do you have what it takes to win big in this crime thrill slot game? Black Widow Slots has FREE spins bonuses, multipliers and more! Good luck! Black Widow Slots is all about crime and murder, whilst offering up some exclusive features and big payouts! 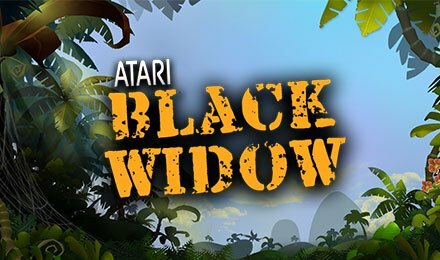 The Black Widow logo is your Wild & can take place of any symbol except the vial of green poison, which is the game’s Scatter. Spinning the vial on reels 2, 3 and 4 will trigger your FREE spins! But that’s not all, there are loads of ways to multiply your wins, a super stacks feature and more!